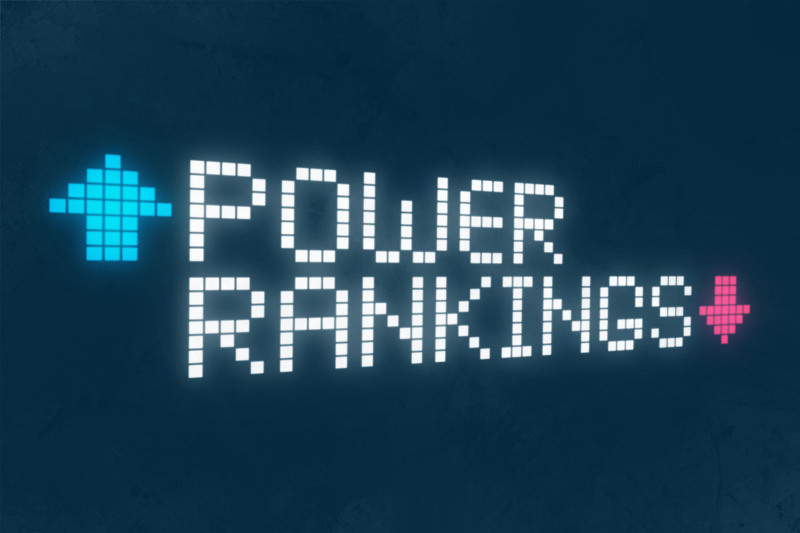 Power Rankings: Week 17 - The Point Data-driven hockey storytelling that gets right to the point. 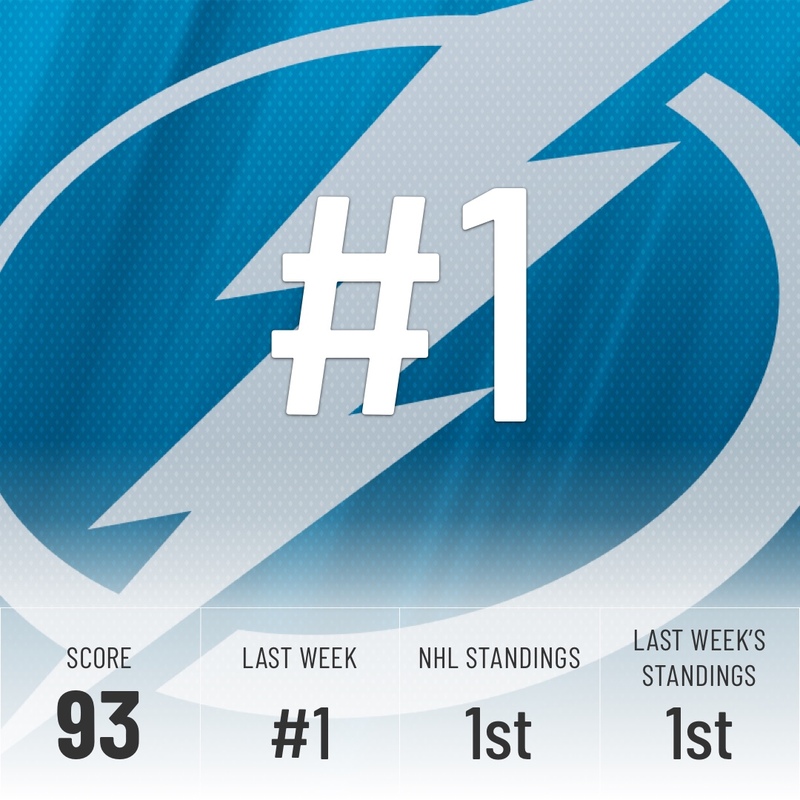 No games since the All-Star break for Calgary means yet another week stuck behind the Lightning. Calgary has only lost two games since the calendars flipped to 2019 and they probably have February 12 circled on theirs. That’s when they go face to face with the Lightning in what could be a key game in the race for the President’s trophy. No games, no movement for San Jose this week, but they have a couple of big challenges on the table in the coming seven days. 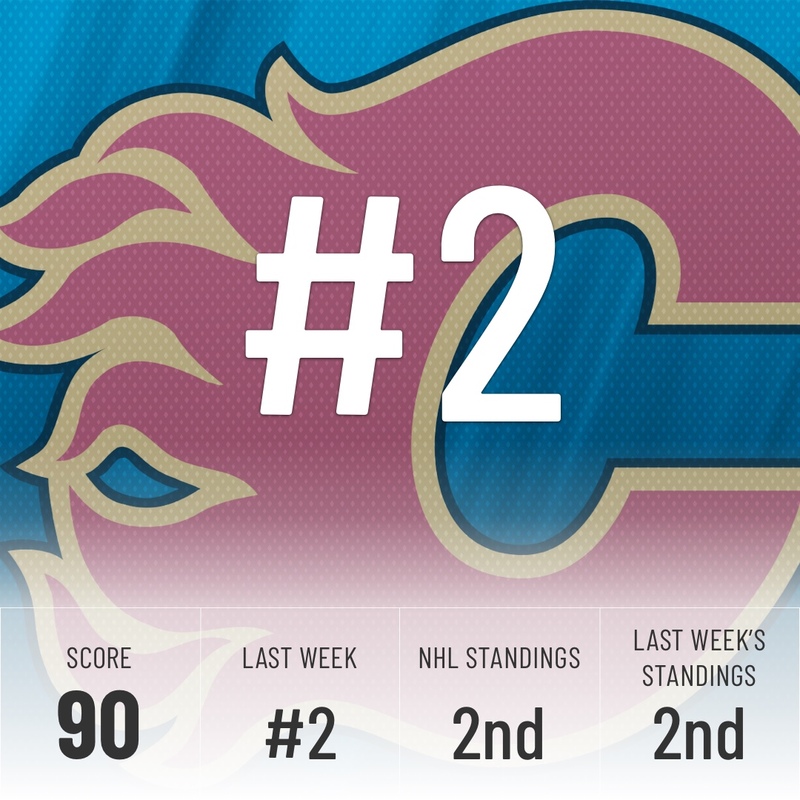 After what should be an easy matchup against the Coyotes, they go on the road to face the Jets and the Flames, the two teams right in front of them in the standings. If they win out the week, they could make a run for the top spot in the Western Conference. The trade for Jake Muzzin is obviously the biggest story for a Toronto team that has yet to play since the All-Star game. Defense has long been circled as the biggest weakness on the Leafs roster and, while he doesn’t fill the need for a right-handed blueliner, there is no doubt he will help the Leafs’ chances of going deep into the playoffs. They stumbled out of the break, dropping their first game against Philly, but quickly got back on track with a pair of wins. Still, the Super Computer isn’t convinced by their play. It believes they’re relying on goaltending a little too much. 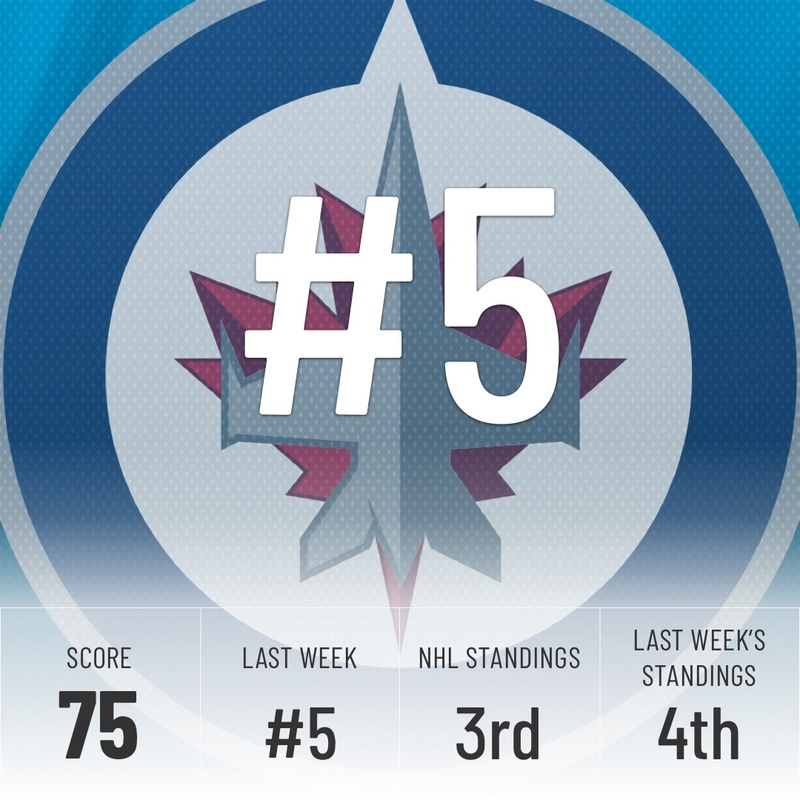 The Jets goalies have combined for an actual to expected goals against mark of -0.42, the fourth-best in the league. This means they save their team nearly half a goal every game compared to league average goaltending. 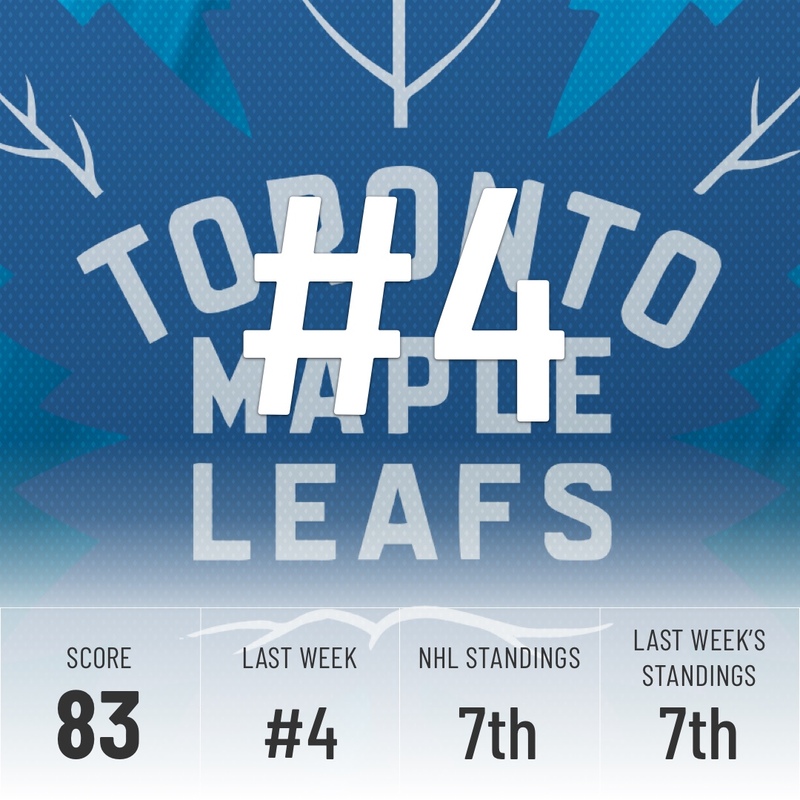 If they come back down to earth and fall closer to the average, they’ll have a tough time hanging to a top-5 spot, be it in these Rankings or in the Standings. 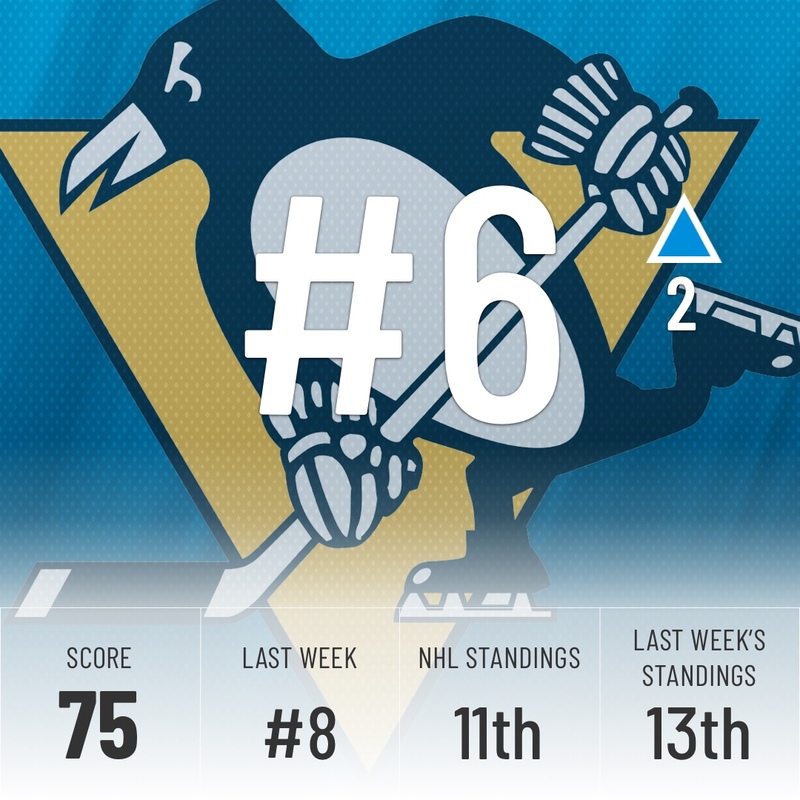 The Penguins had a bad loss to the Devils this week, but it was quickly forgotten when they were able to take down the league-leading Lightning the very next game. They’re now back in the Metro’s top three, but the margins remain razor-thin in the East. They’re three points off the division lead, but just four points from being out of the playoffs altogether. Still, the Super Computer believes they’re the best team in the Metro. With games against the Sens, Hurricanes, Leafs, and Panthers, they very well could seize that lead soon, especially if they take down Toronto. 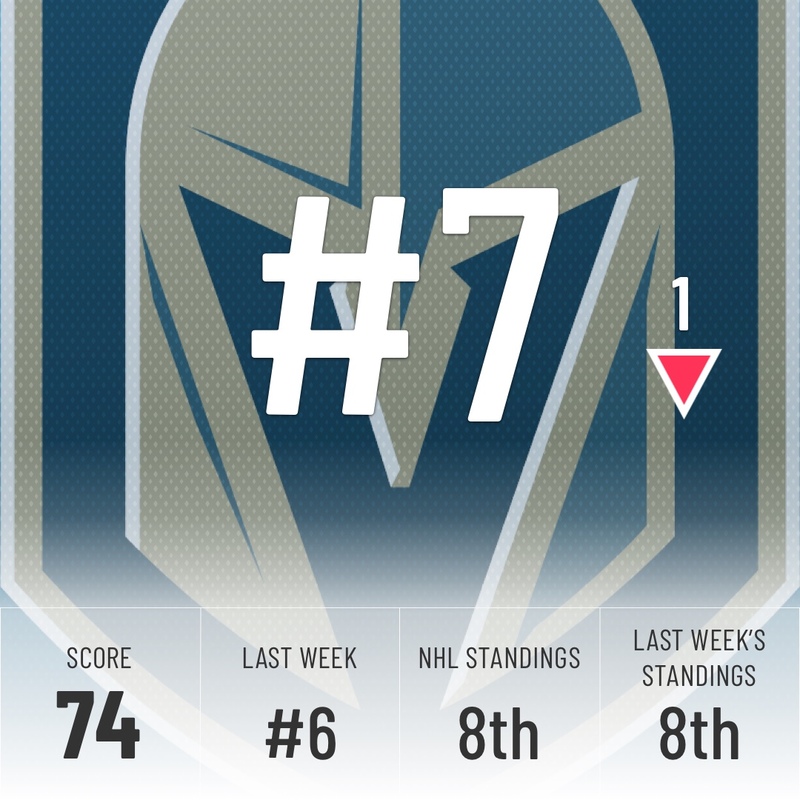 No games for Vegas since the break, but they lose a spot due to the Penguins moving up. On the horizon for them is a four-game road trip on the east coast. Sandwiched between three games against non-playoff teams is a matchup against the Lightning. 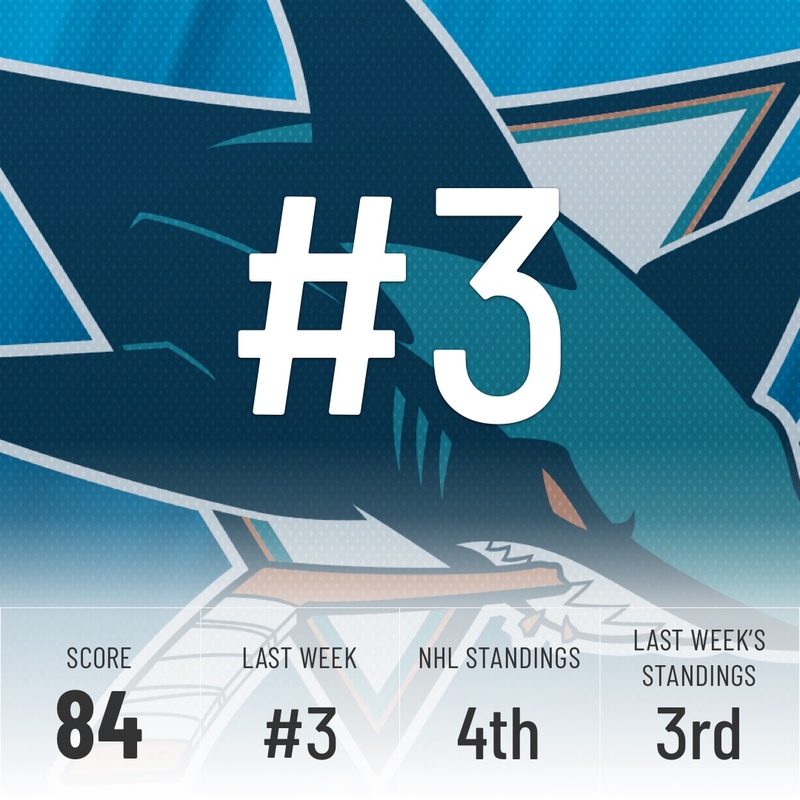 A big week could inch them closer to the Sharks and second place in the Pacific. 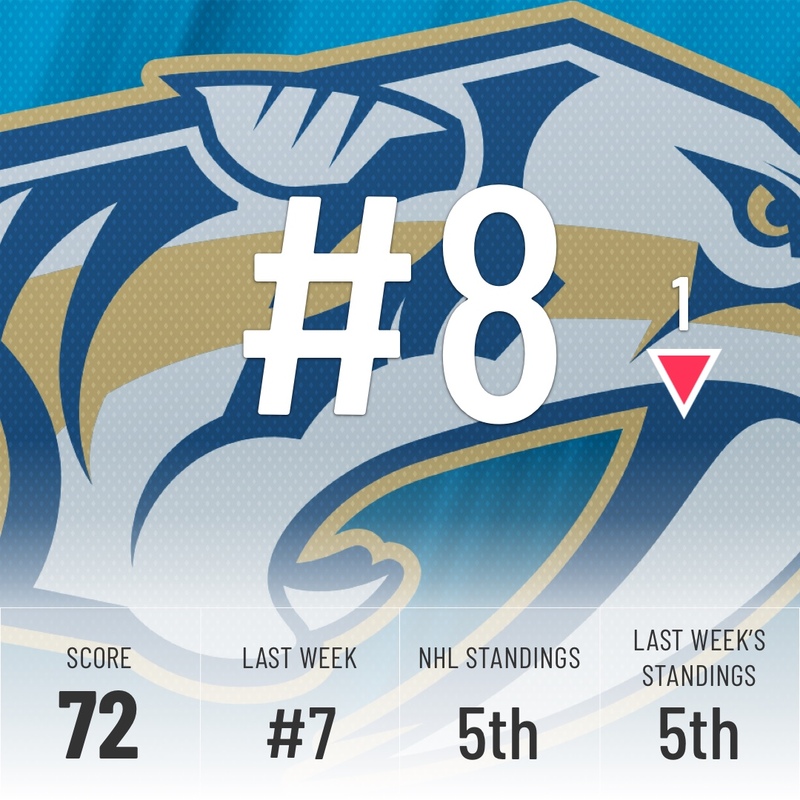 Just like Vegas, the Preds fall down a spot in the Rankings without playing a game due to Pittsburgh leapfrogging them. Nashville’s been hit pretty hard by injuries this season, but apart from Kyle Turris, they’re the healthiest they’ve been in a while coming out of the break. Boston lost their last two games in extra time or shootout and have seen six of their last seven games decided by just one goal. This has led to a poor 4-3-3 record over their last ten games. Despite all those close games, they still have the league’s 10th-best goal differential and keep their 9th place in our Rankings, a testament of how strong they’ve been through the season. Rumored interest in Flyers forward Wayne Simmonds could be a move that helps them get back to winning more consistently and adds another layer of scoring come playoff time. 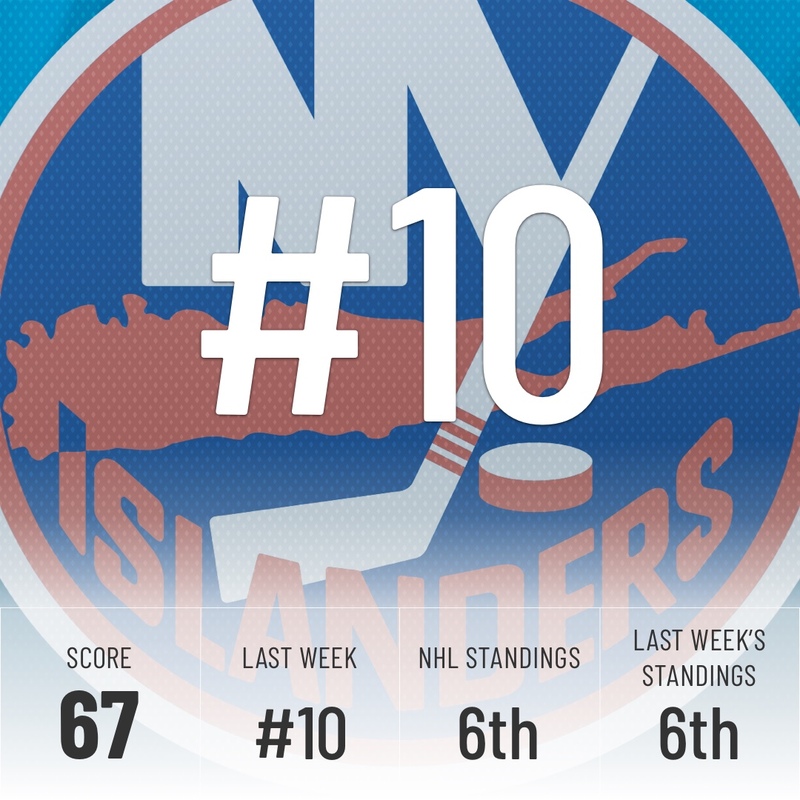 No games for the Islanders this week, but they hold on to the lead in the Metro division and a top-10 spot in our Rankings. That will be put to the test with a game against Tampa to kick off their post-All-Star break schedule. 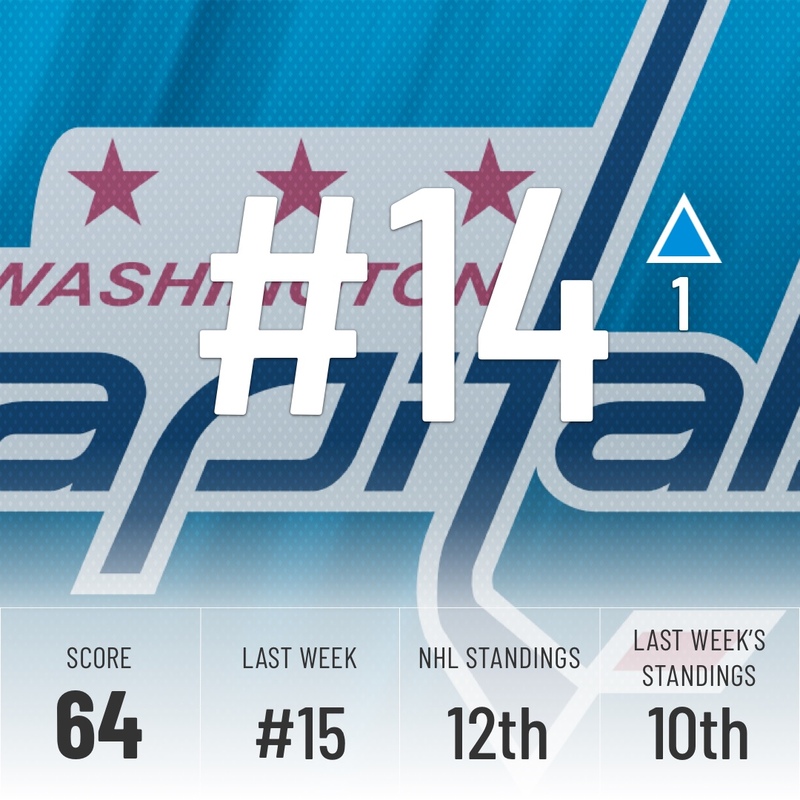 Last week, all teams between 11th and 14th were tied at 64 points in our scoring system. 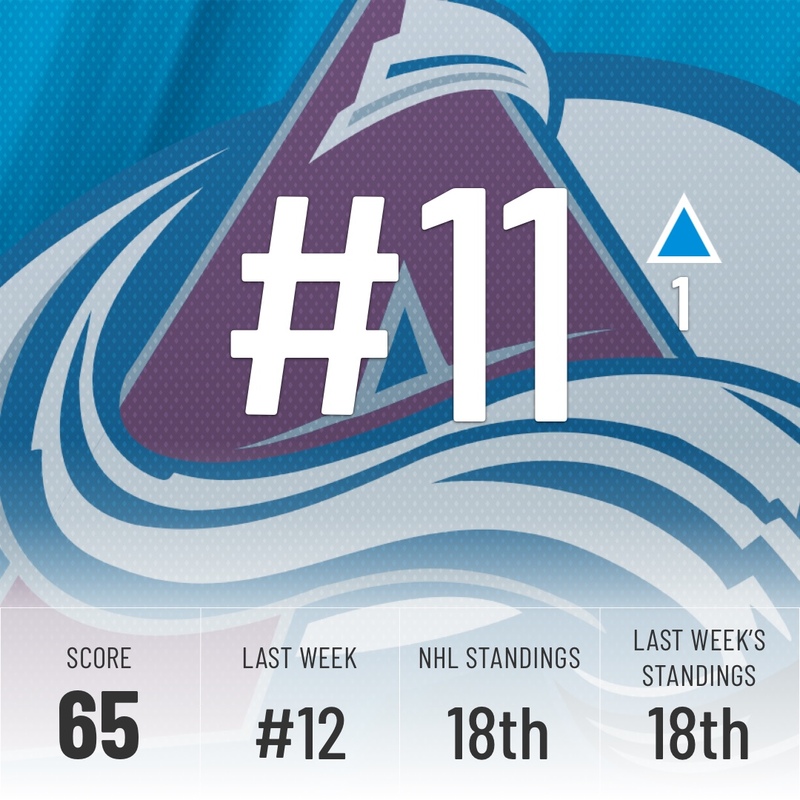 With Columbus dropping, the Avs are the first of the bunch to be gifted a free place despite not playing all week. Over the All-Star break, our own Mike Kelly sat down with Gabe Landeskog and Mikko Rantanen to talk about the strengths and improvements in their respective play. Hopefully, the work will pay off, because their post-break schedule doesn’t look forgiving. Nine of their next 12 games come against teams currently in playoff position. 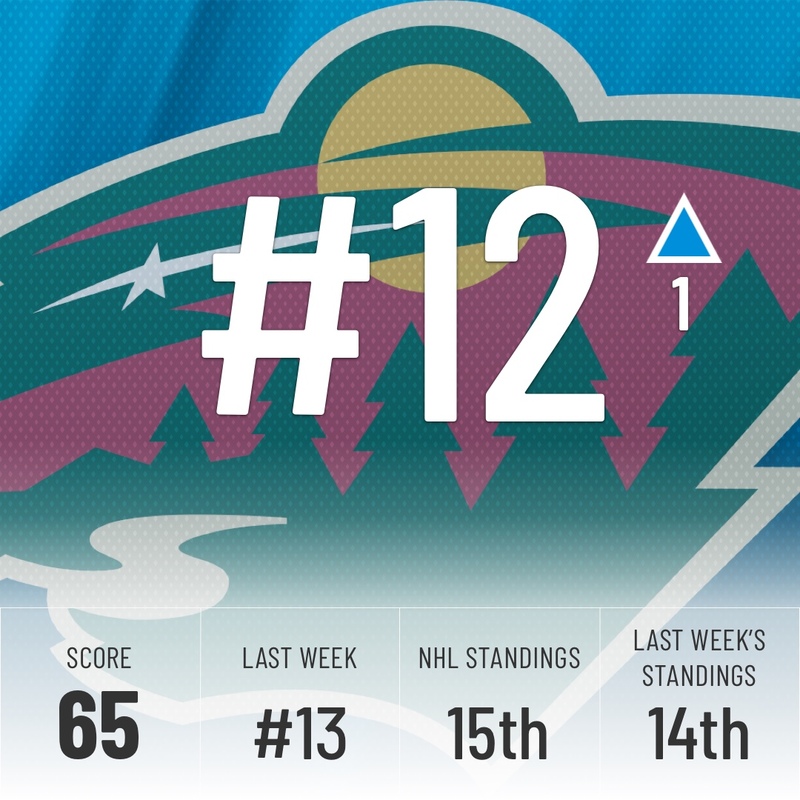 The Wild are the second team to gain a free spot without having to take the ice due to the Jackets falling. As we mentioned last week, their schedule looks extremely friendly in February. With just a three-point lead on the first wildcard spot, the timing looks perfect for them to put some distance between them and the wildcard race. Three straight teams on bye, three straight one-spot jumps and yes, it’s because of the Jackets again. 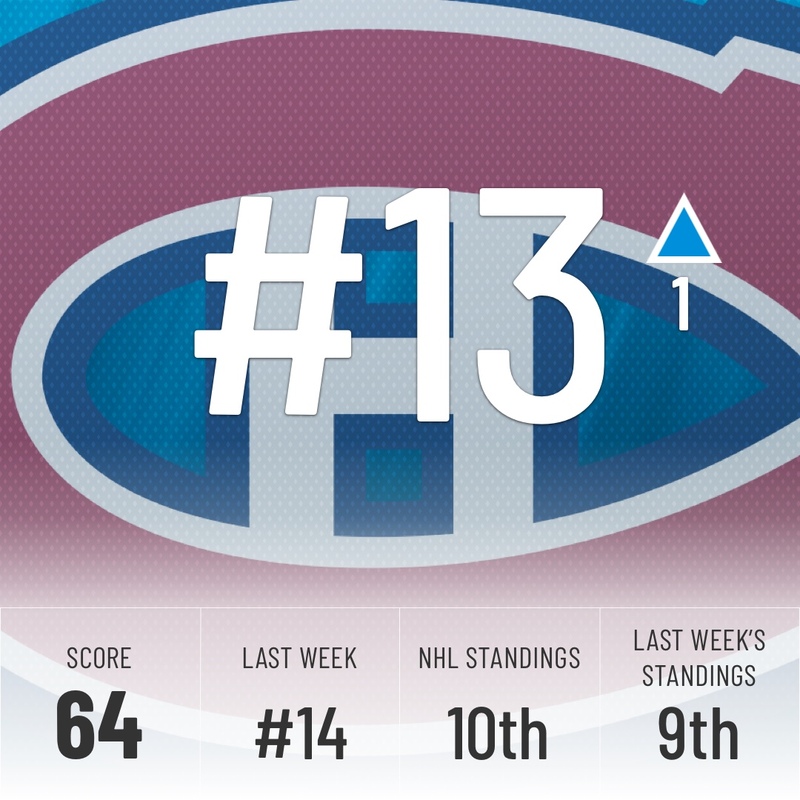 The Habs have three straight games against non-playoff teams to start the post-break schedule and prove to the Super Computer they belong in the top 10 of the NHL standings. The final team to benefit from the Columbus market crash, the Caps enter the last stretch of the season on the back foot. They’ll be looking to snap a seven-game losing streak right out of the gates. They’ll need to tighten up defensively if they expect things to change. Remember, they gave up at least six goals in four of their last five. 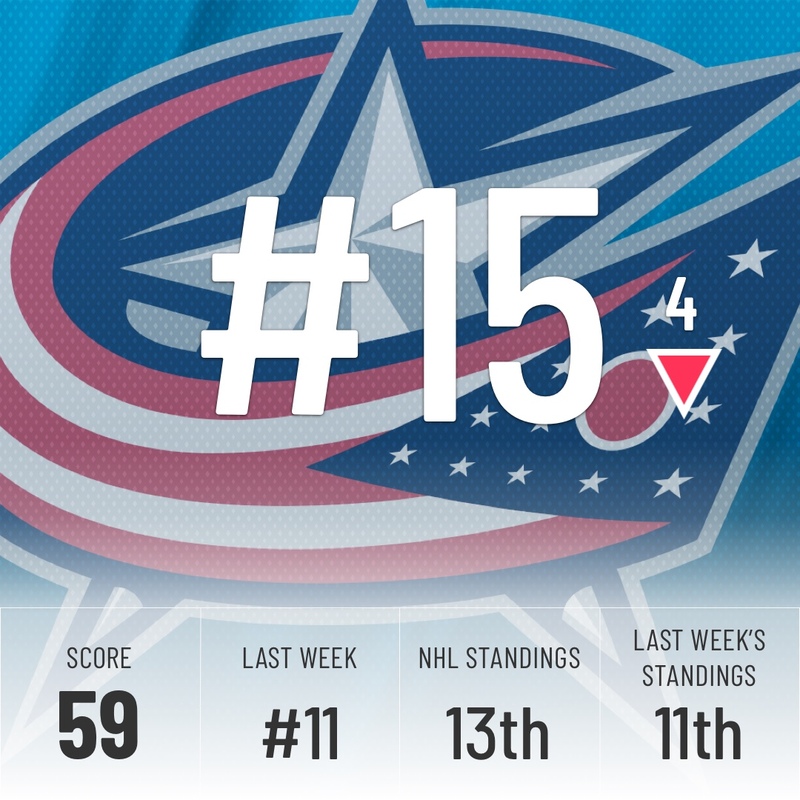 Here they finally are, the biggest losers of the week, the Columbus Blue Jackets, who are now out of the Metro’s top three and down in the wildcard fight. They weren’t terrible, but the margins for error in this part of the Rankings are so thin that a slip up like this will drop you fast. Both games were decided by a single goal, which is a nice silver lining. They play the Blues next and hope to get back in the win column after losing their last four. 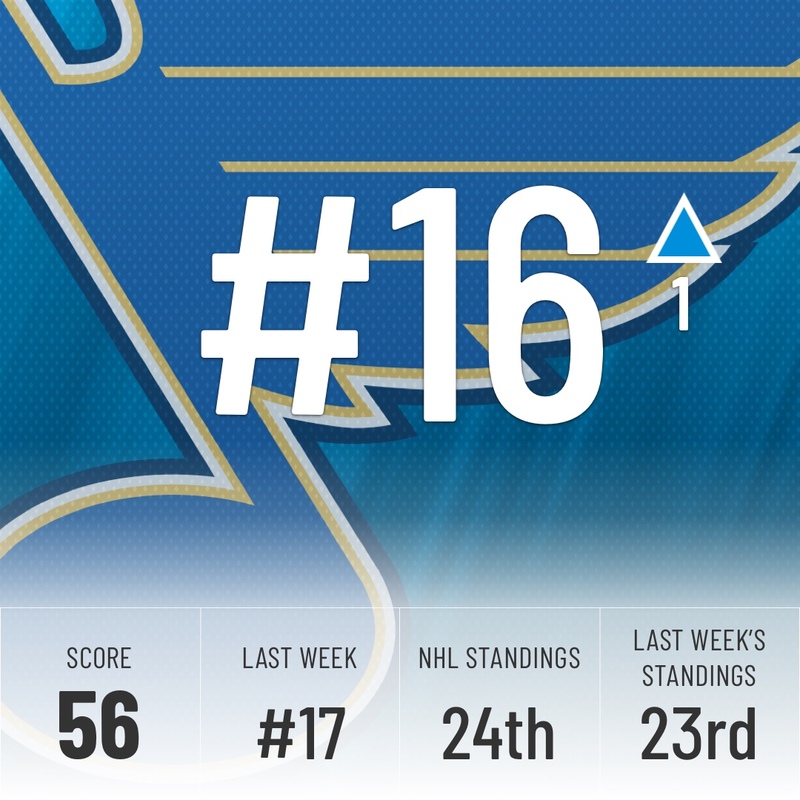 The Blues just completed their first month over .500 all season, going 7-4-1 in January. With the surprisingly weaker competition in the Western wild card hunt, they’re still very well in the thick of it, despite their poor start. They’re three points out and have at least one games in hand on every other team in the Conference. 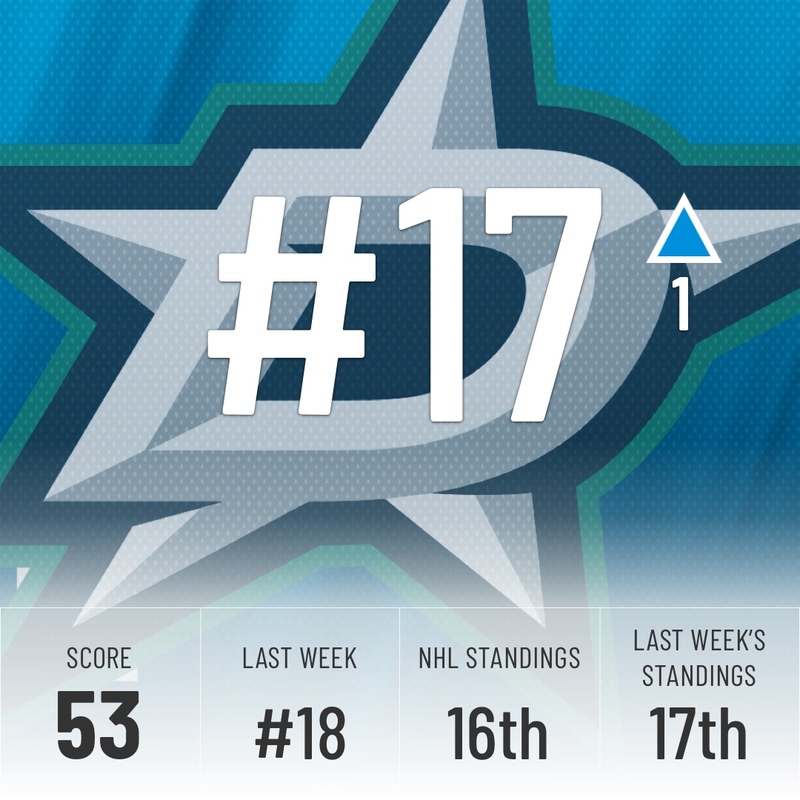 Only one game for Dallas this week, but they got two key points in a 1-0 win over the Sabres. This gives them a two-point lead over the rest of the field for the last wild card and inches them closer and closer to a positive goal differential. They currently sit at -1. 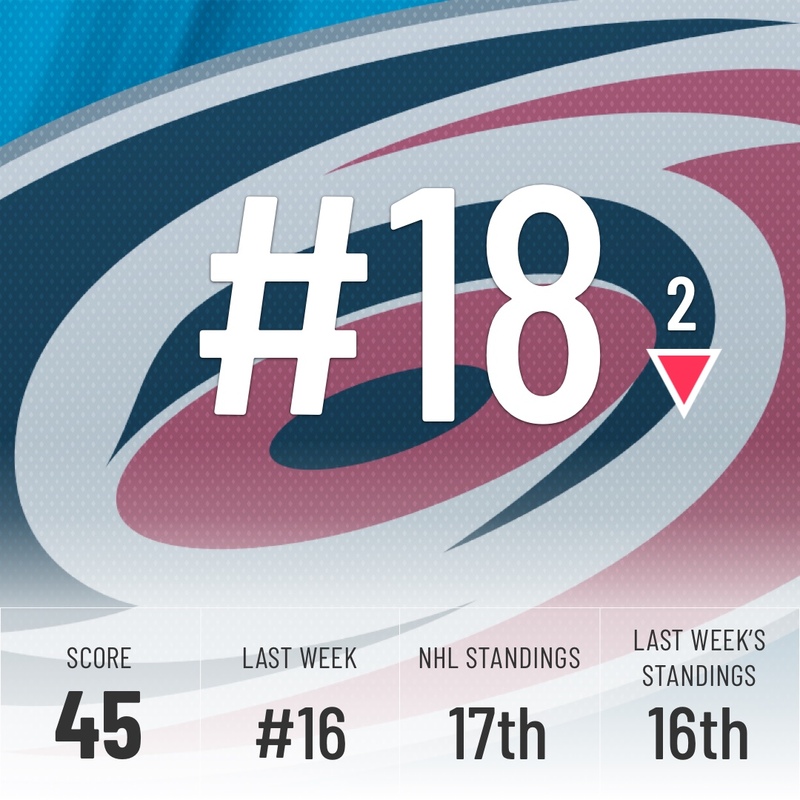 The Hurricanes haven’t played since the break, but the Super Computer dropped them two spots when looking at their schedule. It isn’t too optimistic that they can escape the week over .500 with games against the Golden Knights, Flames, and Penguins. Don’t be surprised if they keep dropping next week. 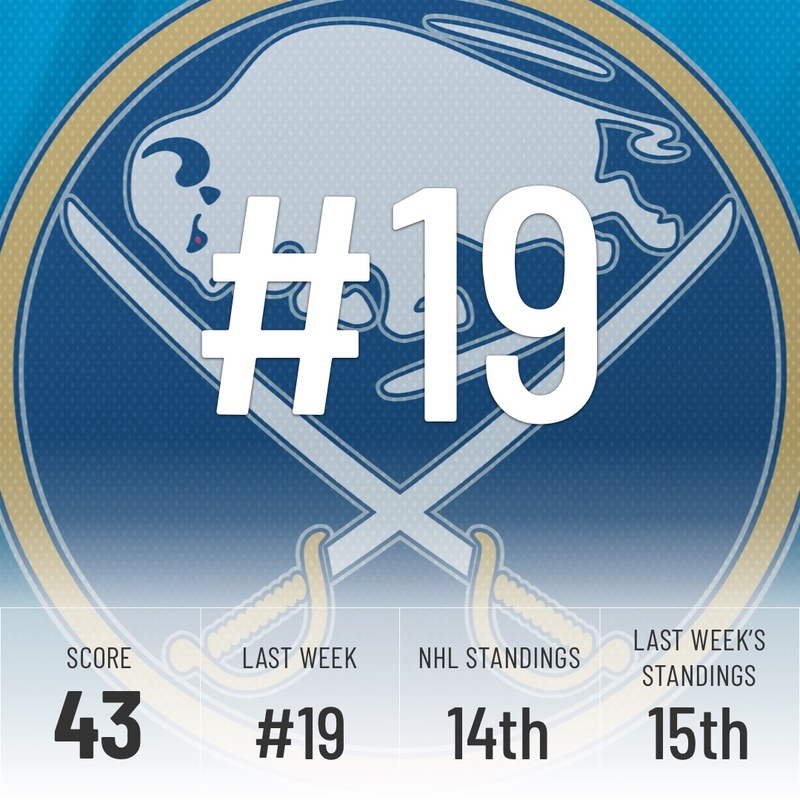 A win and a loss, both by a one-goal margin, combine to keep the Sabres still in our Rankings. They’ll have to do better than alternating wins and losses if they hope to claim one of the final playoff spots, but that’s close to what they’ve done in 2019. They’re 4-6-0 in their last ten games. 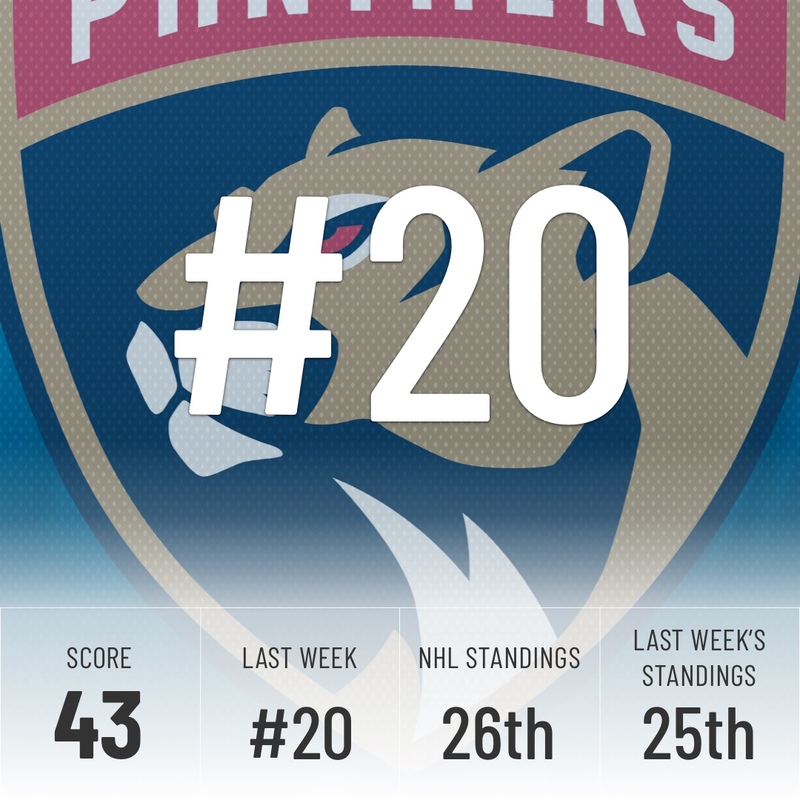 As we were writing these Power Rankings, the Panthers swung a trade with the Penguins, sending Nick Bjugstad and Jared McCann for Derrick Brassard, Riley Sheahan and draft picks. Even with a roster shakeup, things are bleak in Florida. They’re closer to last place than they are to a playoff spot. 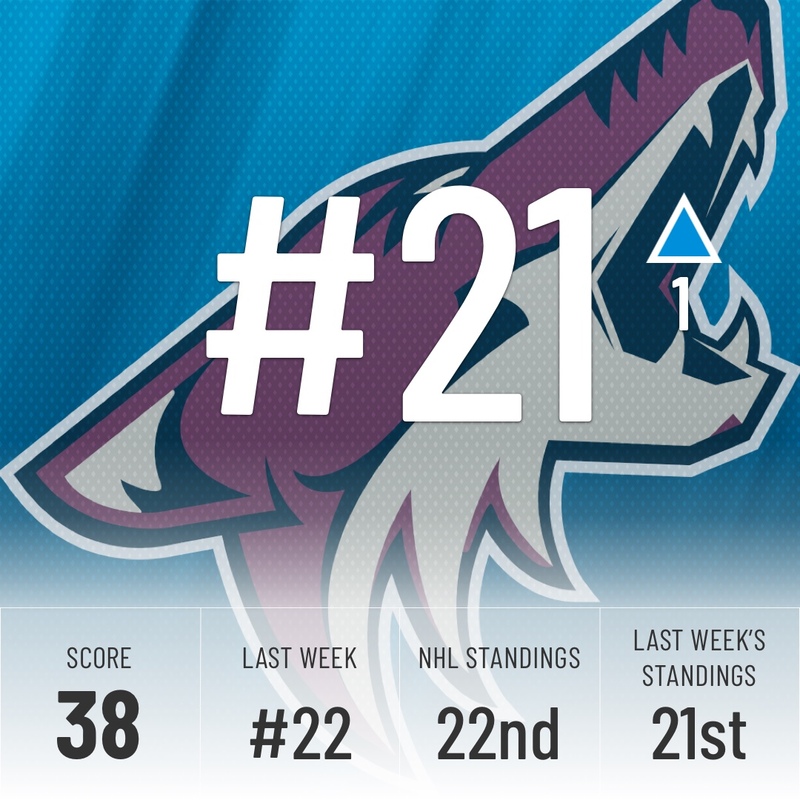 The Coyotes don’t come off their bye week until tomorrow night, when they kick off a tough 3-game road trip. They’ll face the Sharks, Stars, and Predators. They’ve shown before the break they can take on tough teams, with wins against the Sharks and Leafs in their last five games. With all their injuries, they should be way out of the playoffs but they keep hanging on the fringes. They’re just two points away from a playoff spot. Another surprising playoff hopeful, the Canucks are back in action tomorrow night in a potential four-point game against the Avalanche. Vancouver and Colorado are tied at 52 points, but the Avs have a game in hand. 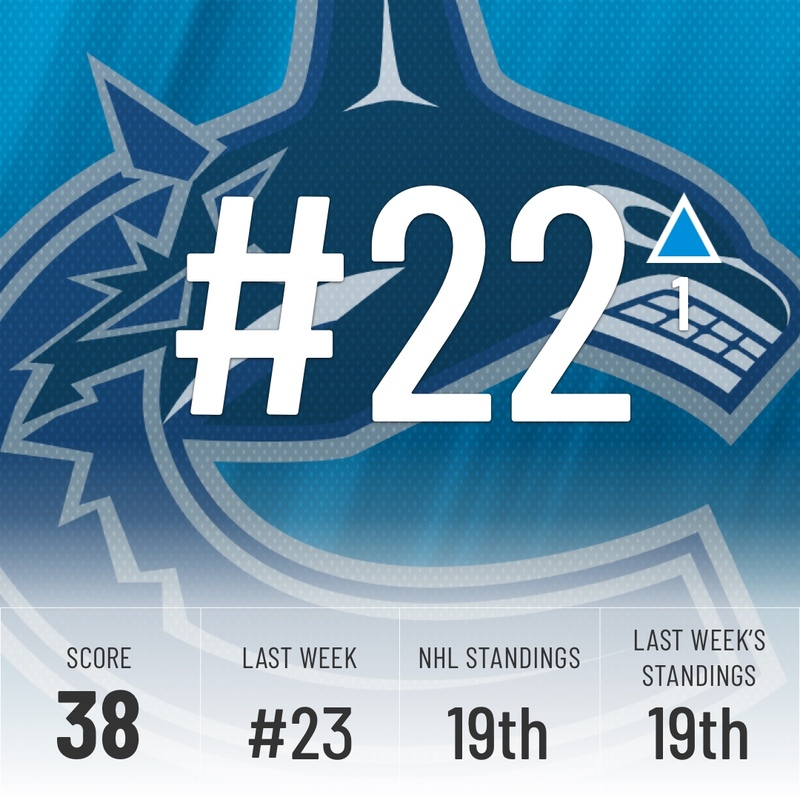 A win here could vault the Canucks into a playoff position. It’s fair to say we never expected to write this in January. The Oilers still haven’t played since firing former GM Peter Chiarelli, unless you count the third period of the Detroit game. It will be interesting to see how the team answers to the change, but the issues in this team run way deeper than a simple attitude change. We’re likely to keep seeing McDavid and Draisaitl do everything on their own with minimum support. Klefbom was set to return against the Flyers, but he might have suffered a setback in practice, so there is a chance Oilers fan will have to wait longer to see their best defender back in uniform. What a second half of January for the Flyers. This team looks like they’ve found new life in their team, rattling off six straight wins. One of the biggest reasons for their play has been Carter Hart who’s just been unreal as of late and was just named Rookie of the Month for January. Whether or not this hot streak can continue it may be too late for the Flyers to get themselves back in the playoff race. 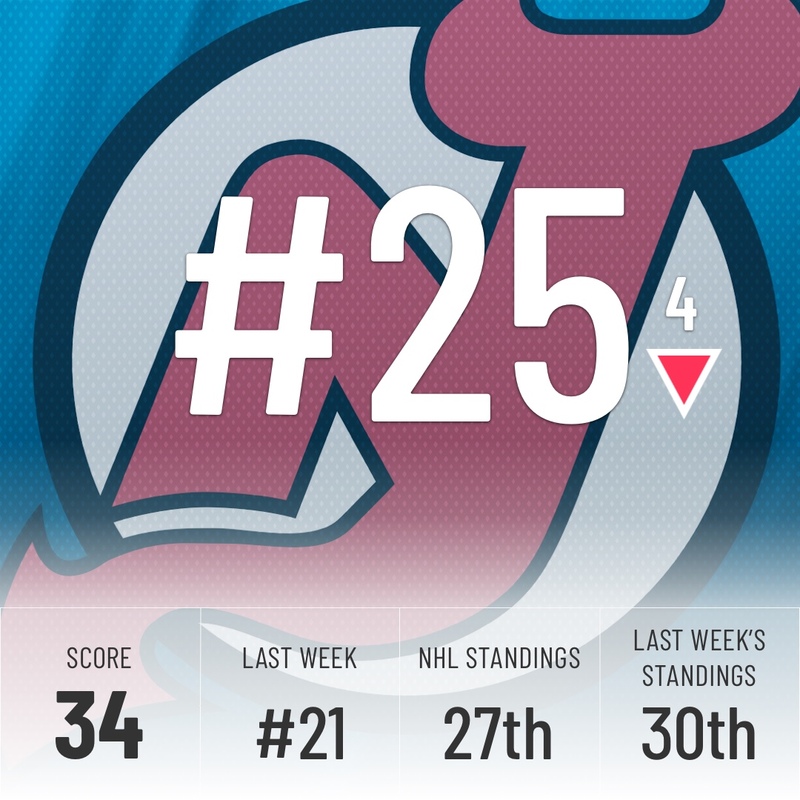 After coming out of the break with one win and one loss, the Super Computer became fed up with the Devils and knocked them four spots down the rankings. It’s hard to judge this team while Taylor Hall remains out of the lineup and speaking of him here’s a little something Devils fans can reminisce on fondly. 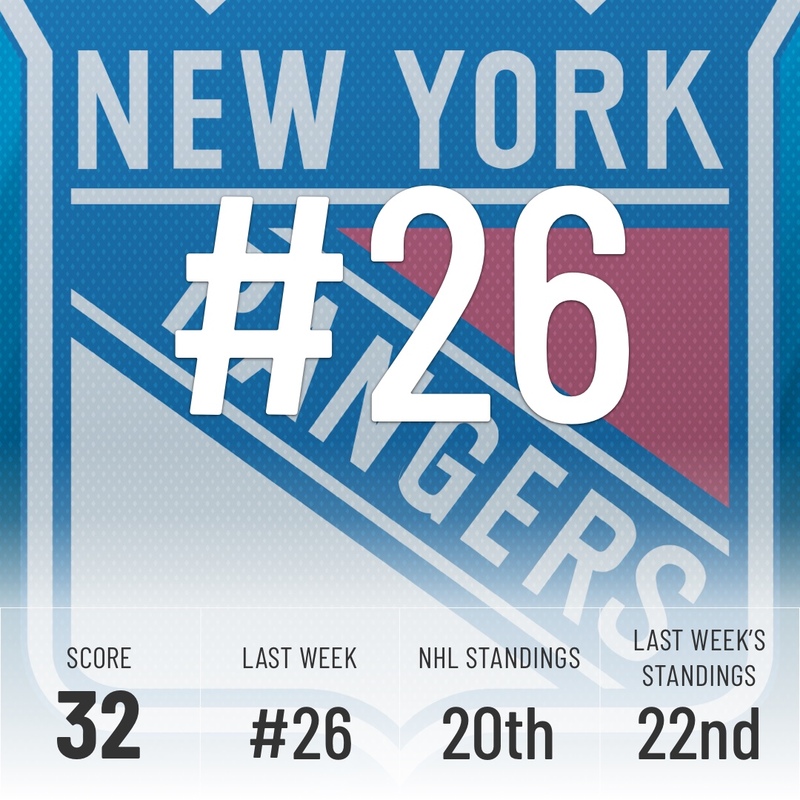 No change for the Rangers this week after getting shut out by the red-hot Flyers in their first game back from the break and bounced back with a win over the Devils. 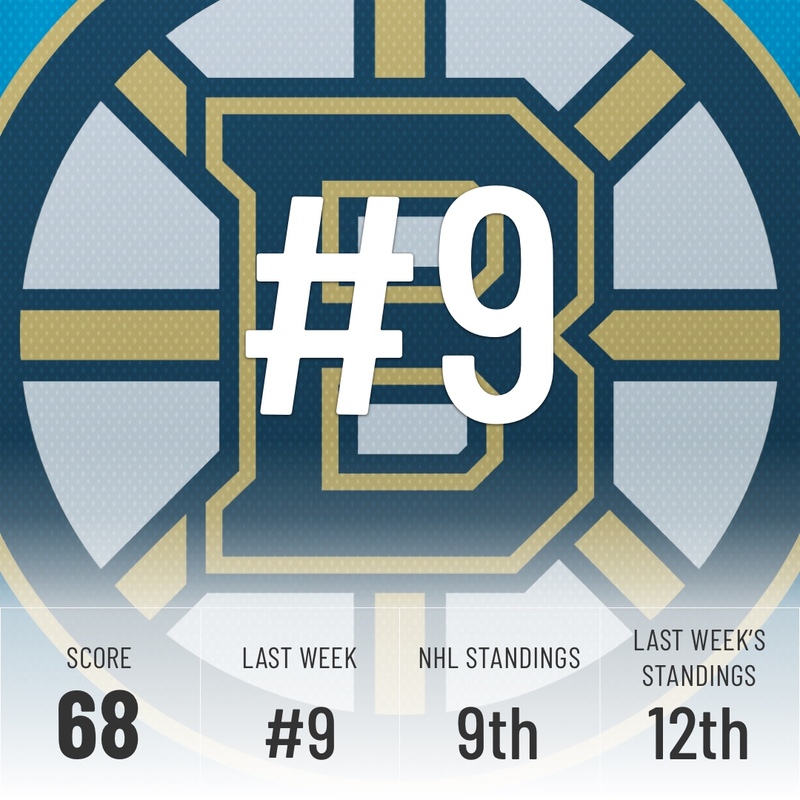 Unfortunately for them, the Rags have tough tests against the Lighting and the Bruins this week and then a relatively easier game against the Kings. The Rangers are a team to keep an eye on over the next few weeks as they potentially make some moves at the Trade Deadline. 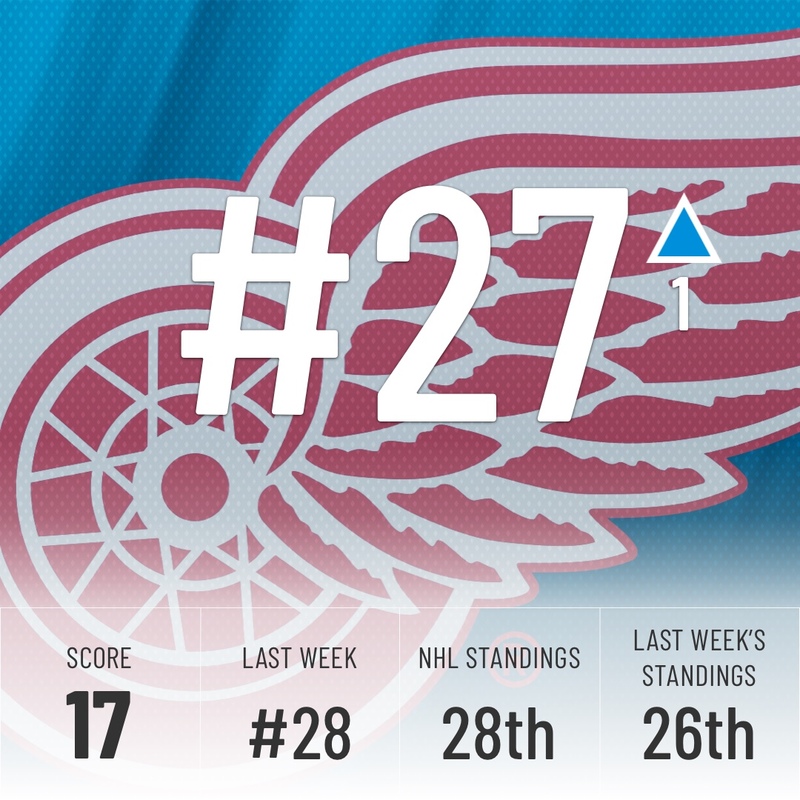 The Wings have a tough test tonight when they take on the Toronto Maple Leafs. 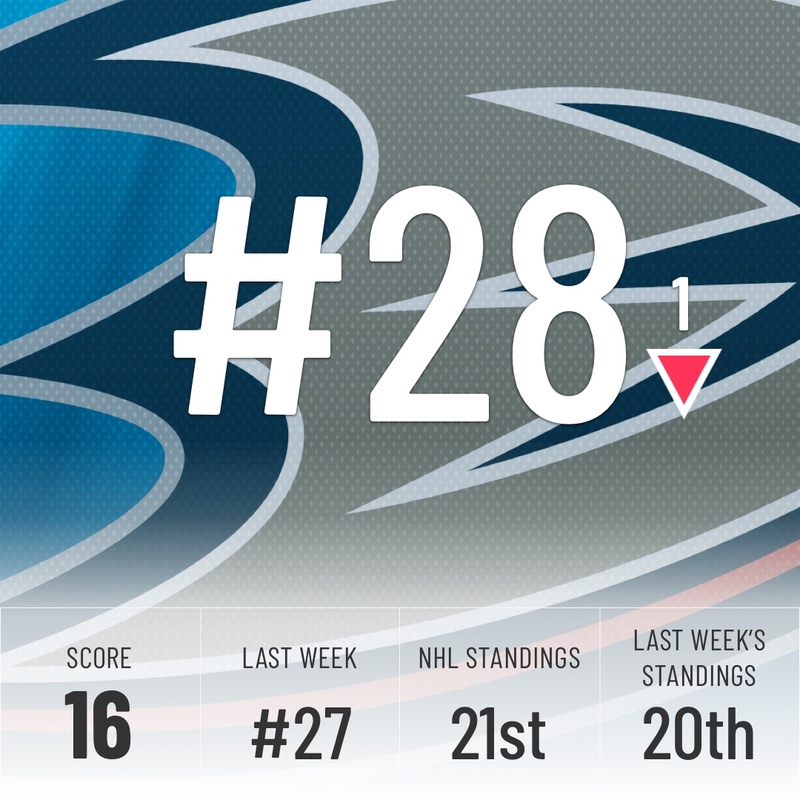 Lucky for them the Super Computer is not a fan of the Ducks right now so they hoped up a spot in the rankings but with two out of three games against top-10 teams this week it doesn’t see the Wings moving any further. The Super Computer is not high on the Ducks right now and with their upcoming week, it’s no surprise. The Ducks take on the Jets, Leafs, Canadiens, and Senators. 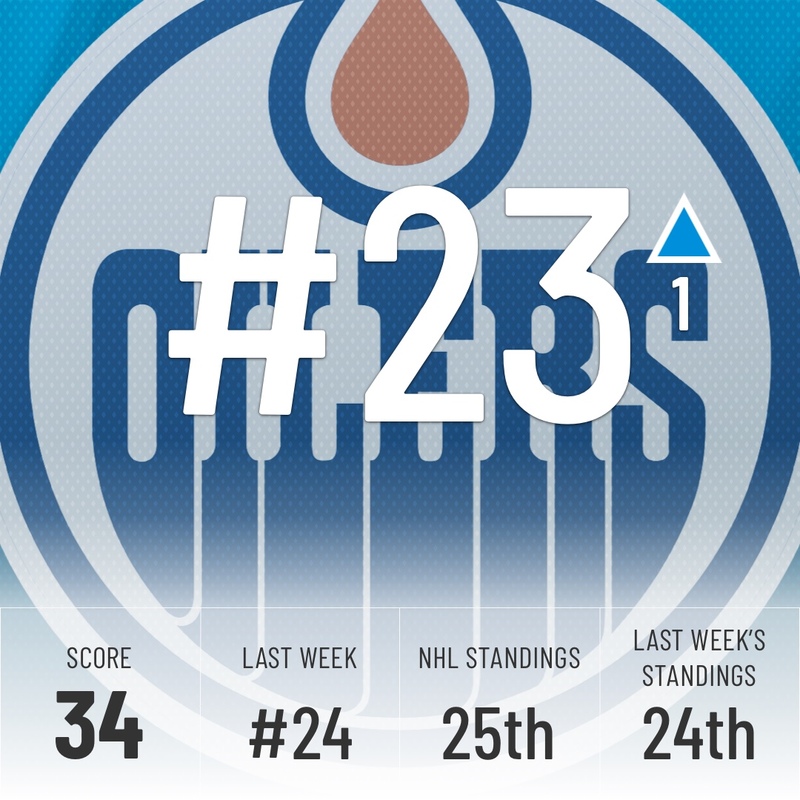 That’s a tough week across Canada and one where the Ducks will be hard pressed to make any moves up the standings. 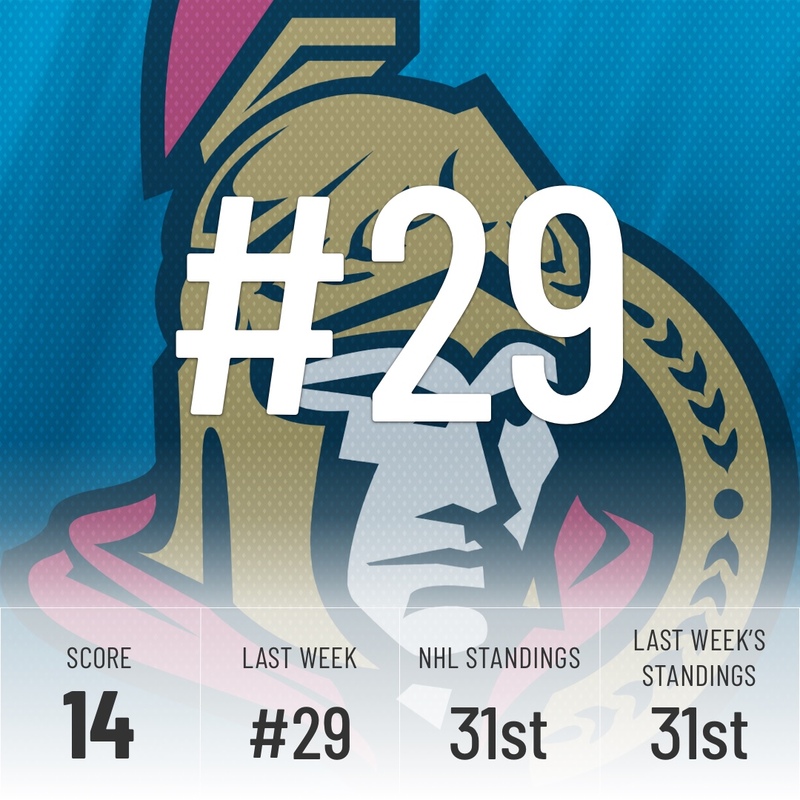 The Senators stand pat during their bye week but have a big four-game week coming up with two back-to-backs. 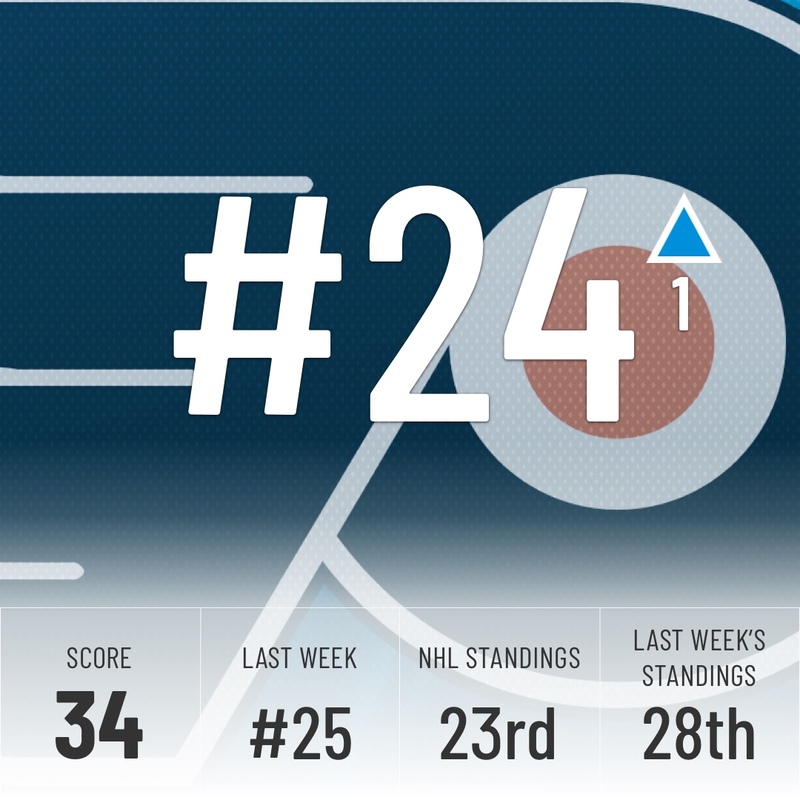 With how tight it is at the bottom, the Sens could see themselves move up or down the rankings pretty easily. Not to mention that they still don’t have any indication on what Matt Duchene and Mark Stone have in mind. No movement for Chicago while they’re on their bye week. The Kings are also on bye and no one ahead of them lost enough to warrant dropping below them. 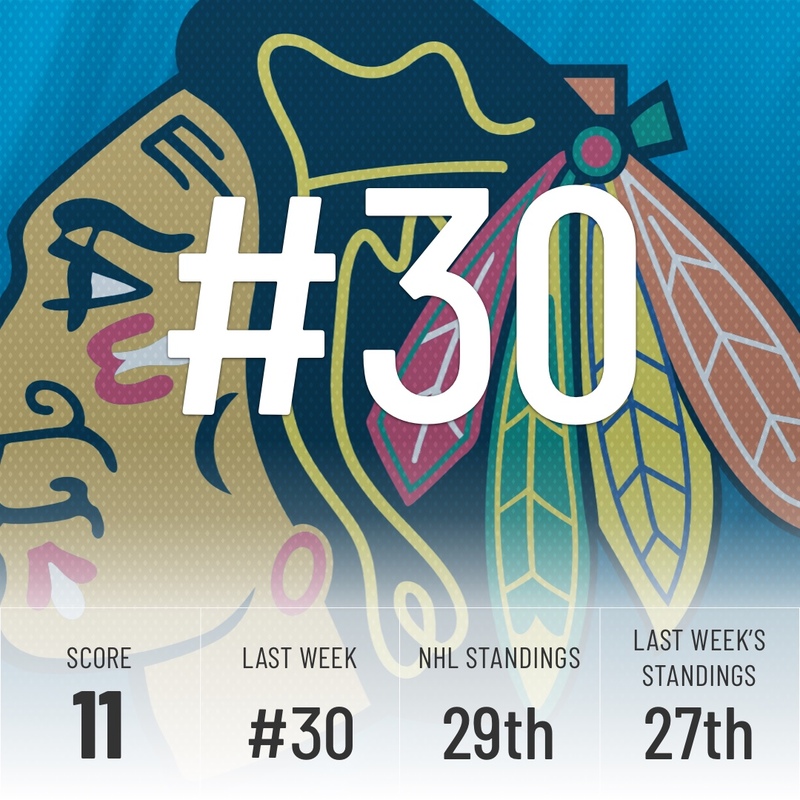 The Hawks have an interesting week coming up where they play four games against teams battling for playoff positions. 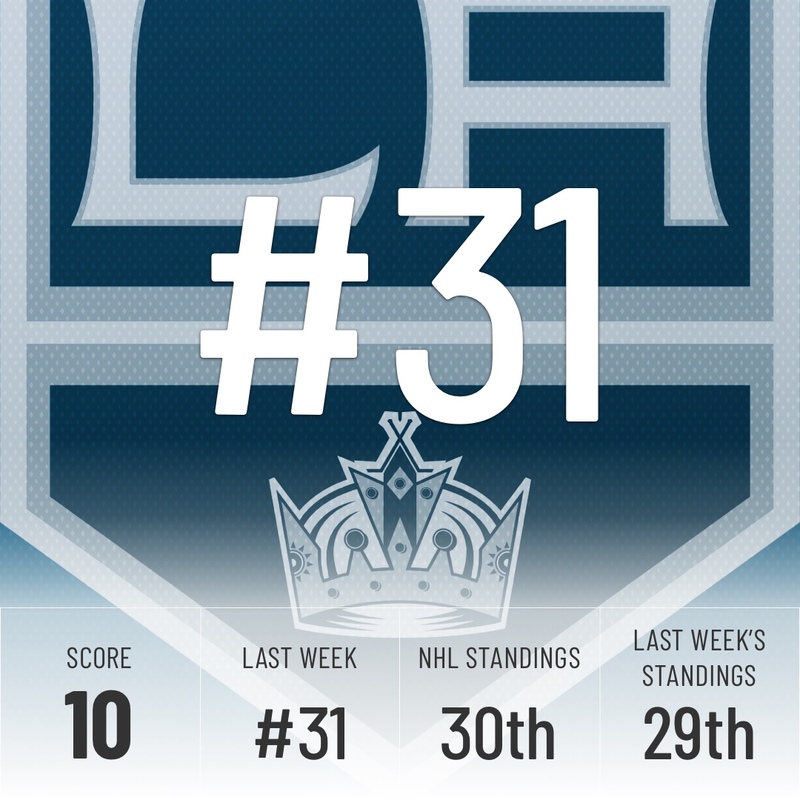 The Kings resume play tomorrow against the New York Islanders. They’ll do so without Jake Muzzin in their lineup after they traded him to the Toronto Maple Leafs. There’s a good chance the Kings aren’t done making moves as most of their players are considered to be trade bait. In the meantime, they’ll continue to increase their odds to a good lottery pick.